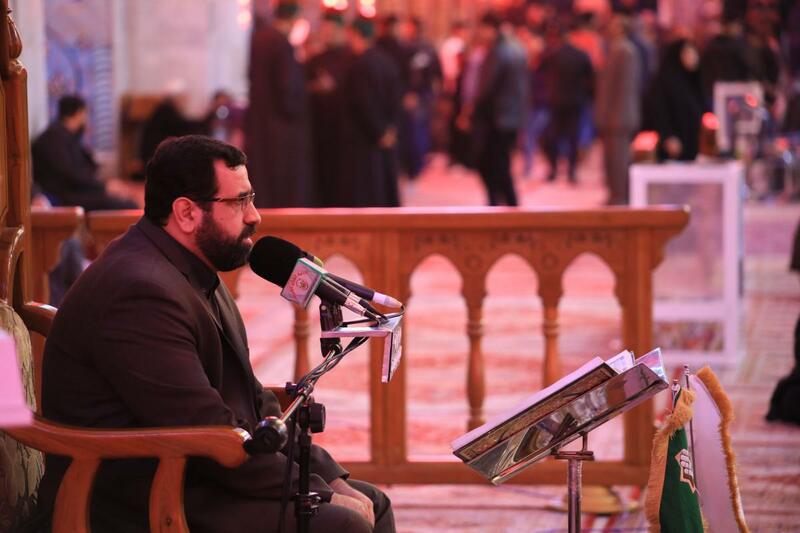 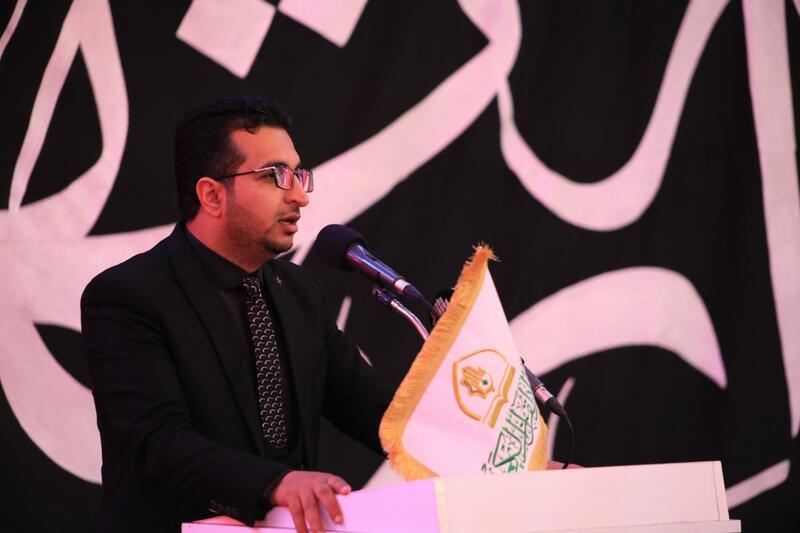 The Shrine of Aba al-Fadl al-Abbas (peace be upon him) embraces a Quranic forum to recite the martyrdom anniversary of Lady az-Zahra (peace be upon her). 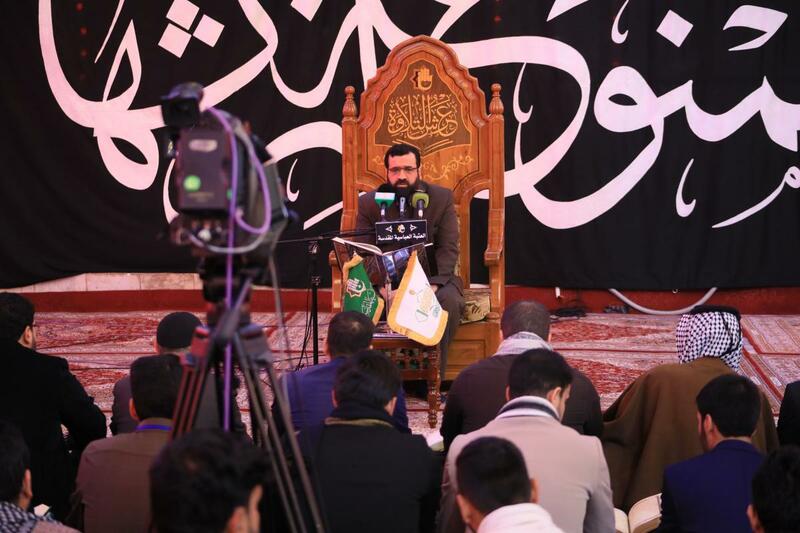 The Holy Quran Institute of the Department of Islamic and Human Knowledge Affairs at the al-Abbas's (p) Holy Shrine recalled the sad martyrdom anniversary of the Lady of the World's Women and the beloved daughter of the Holy Prophet; Fatima az-Zahra (Allah's prayers be upon her, upon her father and upon their holy family), by establishing a blessed Quranic forum in the shrine of Aba al-Fadl al-Abbas (peace be upon him), within the project of the throne of recitation and with the participation of students of the Alawi care project for the Iraqi Quran recitation of the House of the Holy Quran at the holy shrine of Imam Ali (peace be upon him). 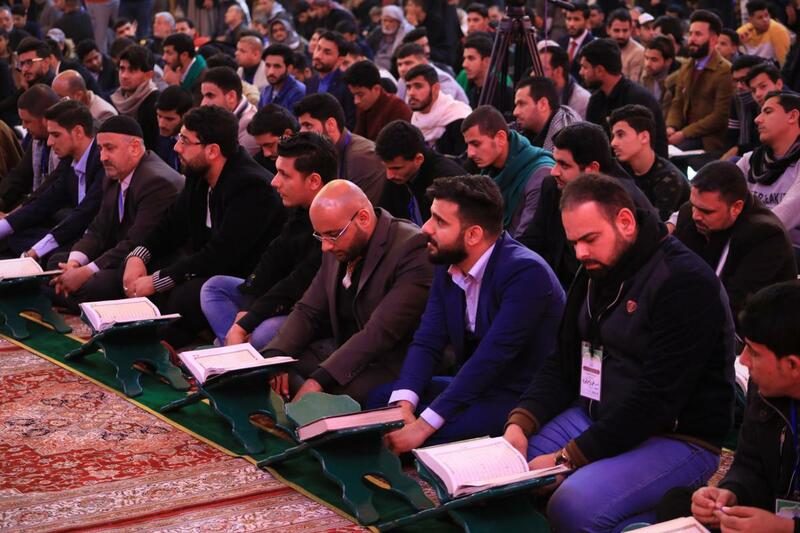 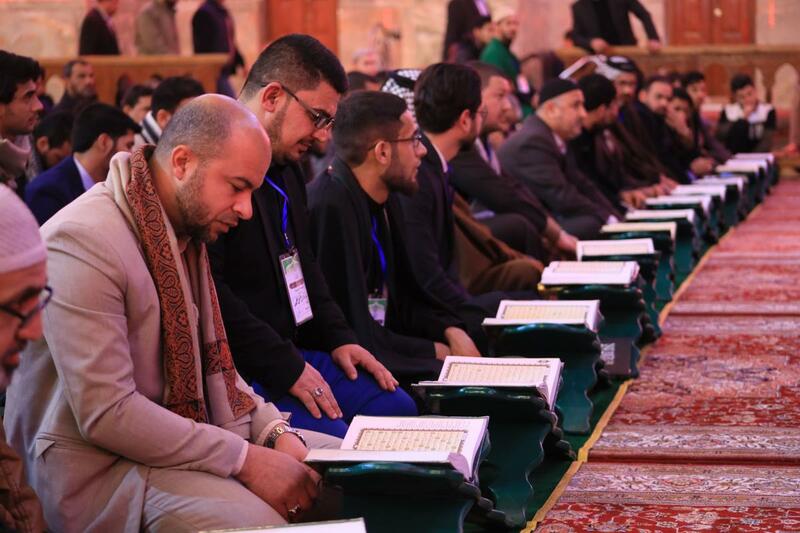 The readers of the Holy Quran recited with their beautiful voices verses of the Holy Quran under the dome of Aba al-Fadl al-Abbas (peace be upon him). 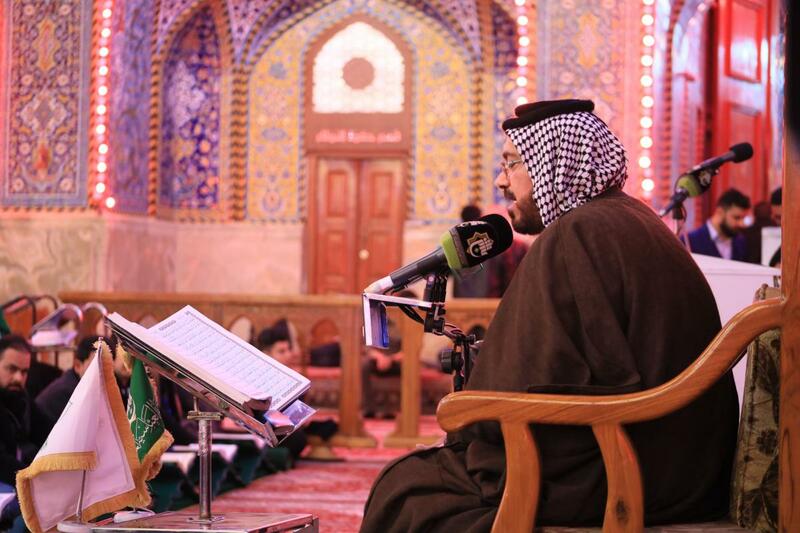 And they were: The reader Mohamad al-Ta'i, the reader Abu Ra'ed al-Jabiri, and the reader Sayed. 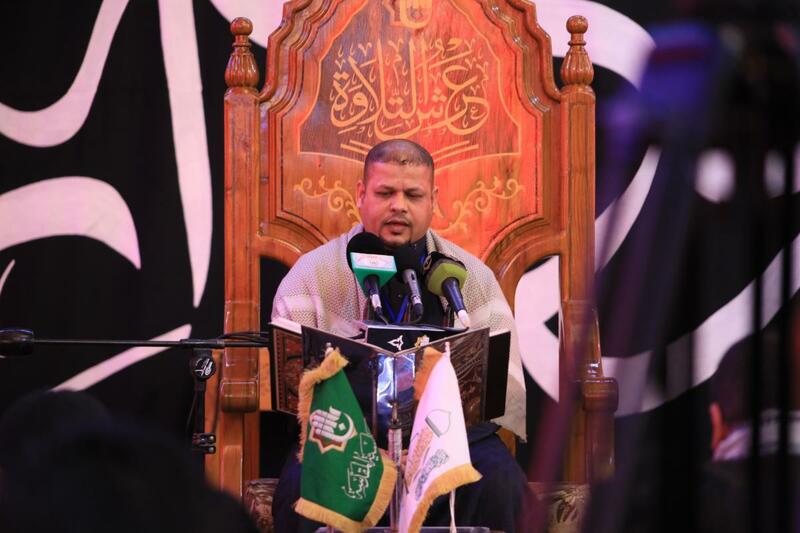 Yas el-Mhanna. 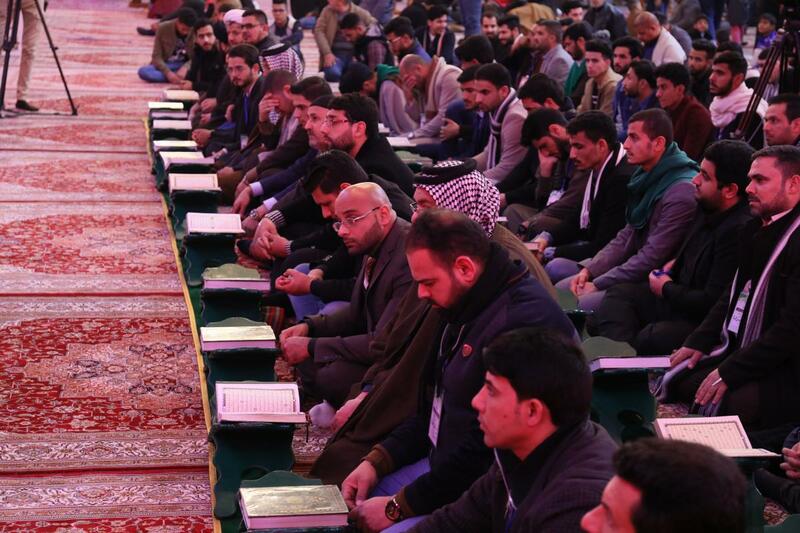 The forum was then concluded by the recitation of the reader Hossein Moghademi of the Republic of Iran.